Rama has been dominating the Indian religious scene from the time immemorial. The initial epic story on Rama had been composed by Valmiki followed by other poets of Sanskrit and other Indian languages. He indeed is the epic hero and his brief life sketch has been provided in this work, which would surely interest the readers. Shantilal Nagar, a graduate of the Punjab University, served in the curatorial capacity in the Central Asian Antiquities Museum, New Delhi, the Archaeological Museum, Nalanda, and Archaeological Section of the Indian Museum, Calcutta for a number of years. He has to his credit the scientific documentation of over fifty thousand antiquities, in these museums , representing the rich cultural heritage of the country and comprising of sculptures, bronzes, terracottas, beads, seals and paintings, textiles and Pearce collection of gems ranging from the earliest times to the late medieval period. 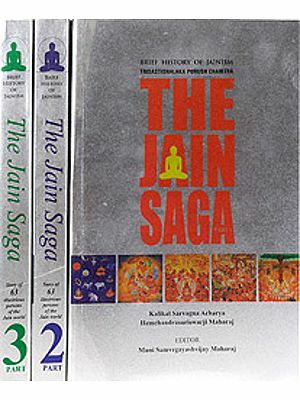 He was awarded, in 1987, a fellowship, for his monograph on the temples of Himachal Pradesh, by the Indian Council of Historical Research, New Delhi. He has authored more than fifty books. Rama has been dominating over the Indian religious scene from the time immemorial and the story of Rama had been equally popular with the masses as well as the higher strata of the society since then. 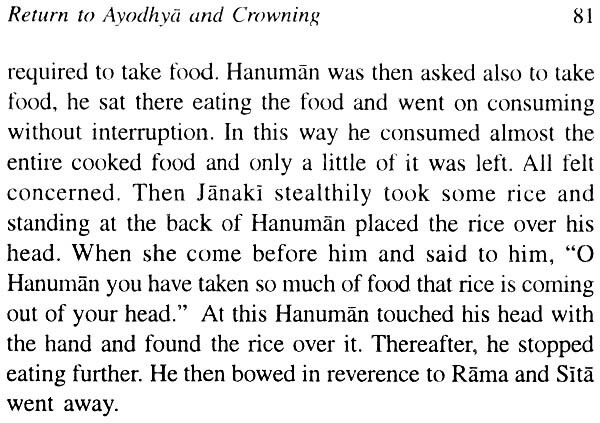 But before dealing with the life of Rama it would be of interest to know about the composition of the story. In this connection one is reminded of a person named Ratnakara who followed the evil path and earned his living by forcibly usurping the belongings of others. The Killing of human beings was a matter of routine with him. 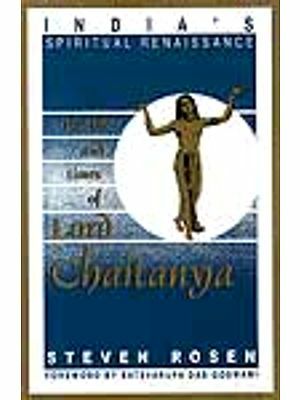 The scriptures bring out the fact that once Narada and Brahma while roaming about in the forest had an encounter with Ratnakara who intended to deprive them of their clothes and their belonging. Both of them then asked Ratnakara,” What for are you doing all the evil deeds?” He replied, ”In order to feed my family.” Narada then questioned him again, “Would the family members, for whom you are committing the crime, share the reward of your sins?” This question perplexed Ratnakara and he said, “I Would go and ask each one of them on this point?” He then binding both Brahma and Narada around a tree went to his house but his mind was doubtful lest both the people might run away in his absence. He was looking behind repeatedly while going to his home. Reaching his home he enquired from all his family members individually whether they would share the reward of their sins committed for feeding them. All of them declined to do so and disappointed Ratnakara, came back to both of them getting disillusioned. He fell at their feet, praying for his redemption. At this Narada asked he to go and have a bath at the river but when he reached the river its water dried up with the very touch of his hand. Ratnakara was disappointed again and narrated the incident to both Brahma and Narada. He then came to realise as to how terrible a sinner was he. Brahma then pointed towards a dry tree and asked him as to what it was? Ratnakara replied, “It is a Mara (dried up tree).” Brahma then sprinkled the sacred water out of his Kamandalu purifying him at the same time. He then advised Ratnakara to recite name Mara. 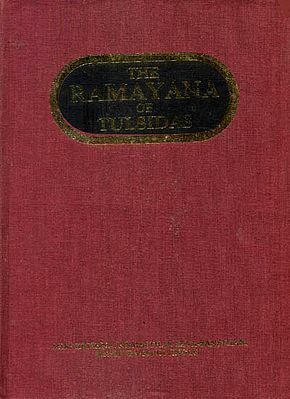 Ratnakara then started performing tapas seated under a tree reciting the word Mara. A long time passed and his body was covered with wild growth, white ants and the mud. After a long time both Brahma and Narada were reminded of Ratnakara performing tapas and both of them again went in the same forest to find out whether Ratnakara was still engaged in tapas. Both of them were very much impressed with him and asked Indra to shower rain so that his body could be relieved of the mud and the white ants. When this was done Valmiki got up reciting the name of Mara or Rama. Thereafter, Ratnakara came to be known as Valmiki and started roaming about in the forest reciting the name of Mara. 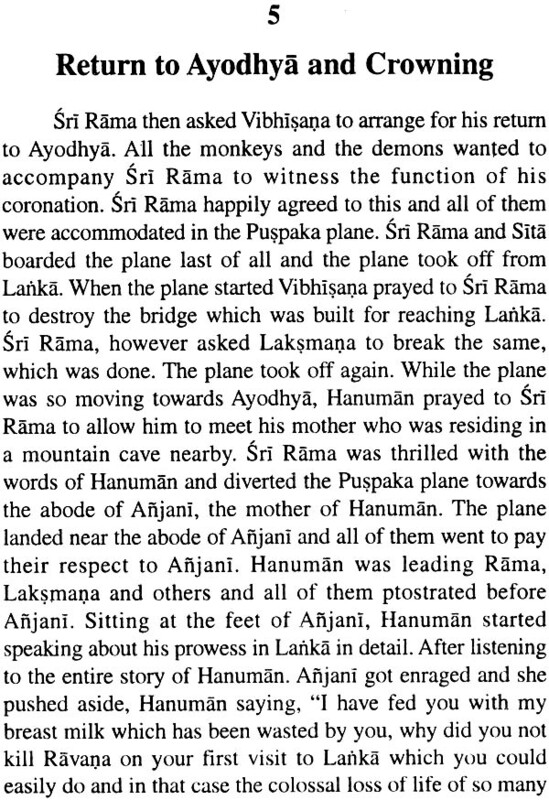 It is to be noted here that Ratnakara who could kill any human with ease was so drastically changed that even the cries of a bird in destress moved his heart to such an extent that a curse emerged from his heart instantaneously. Once when he was so roaming about in the forest, he came across a pair of heron birds which were engaged in love sport. In the mean time a hunter shot an arrow and killed the male heron bird at which the female cried aloud. The cries of the heron bird moved the heart of Valmiki to such an extent that he at once uttered a curse on the hunter. With the curse pronounced by Valmiki, he himself was surprised immensely because it was in the from of a verse in a definite metre. He continued to recite the same verse aimlessly. He was unable to understand and the significance of the same. Time went on and Brahma then asked Narada once to accompany him to the same forest. Both of them met Valmiki again who placed his problem before them. Valmiki informed them that he was unable to understand, the way in which the curse was pronounced by him in the form of a definite metre. Brahma then informed him that the verse which was recited by the Valmiki was due to his grace and that he was create a great epic concerning Rama whose name was recited by him all the times, though initially in a reverse manner. 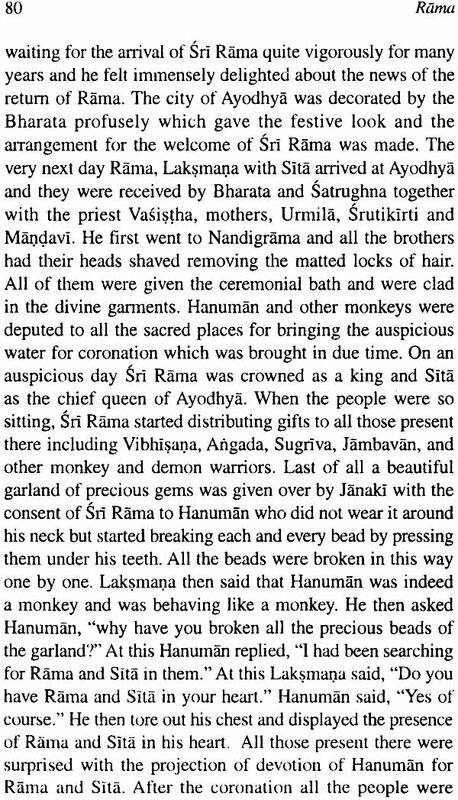 Brahma then asked Narada to provide Valmiki with a brief of the Ramayana. This was done by him and thereafter Valmiki stared composing the verses of his Ramayana. But it is believed that before composing of the Ramayana, Valmiki travelled throughout the country and collected the fragments of the stories of Rama which were available in every nook and corner of the country and incorporated them in his epic. The work of Valmiki influenced the public at large to such an extent that in due course of time several Ramayanas in Sanskrit as well as other regional languages came up which further added to the popularity of Rama and the Ramayana. In order to understand the performance of Rama as a hero, it would be quite pertinent to know about several aspects necessitating his birth and the contemporary environments. (a) The Political Conditions-The political conditions of the country at that point of time were not quite happy because the rulers were at daggers drawn with one another. As for example the King Romapada of Anga country was not favourably disposed towards Dasaratha. Surprisingly enough though it is stated that Dasaratha had given his adopted daughter Santa (or the daughter from Kausalya) to King Romapada of Anga country but still they possibly did not have cordial relations because Dasaratha does not seems to have been invited at Anga at time of the marriage of Santa. Similarly, the king Janaka of Mithila was possibly also not well disposed towards Ayodhya because at the time of the Svyamvara of Sita both Rama and Laksmana the sons of Dasaratha had not been invited to participate in the same. On the other hand, it became the responsibility of sage Visvamitra to bring both the brothers to Mithila for the purpose, without a formal invitation from Janaka. (b) Position of the Gods-Before the incarnation of Sri Rama, it is recorded in the text that Ravana had conquered not only the entire Universe, but also the gods who had been enslaved by him. It is stated that they were made to face the humiliating conditions in Lanka. As for example the wind god was made to sweep Ravana’s palaces, the god of fire was made to cook the food in the palaces. Sarasvati was made to recite the glory of Ravana while Brahma was made to teach the sons of Ravana. Thus , all the gods were made to face the humiliating conditions. The social condition at the time of the birth of Rama were also not quite encouraging because though the people were immensely devoted to the King, but untouchability in one form or the other. 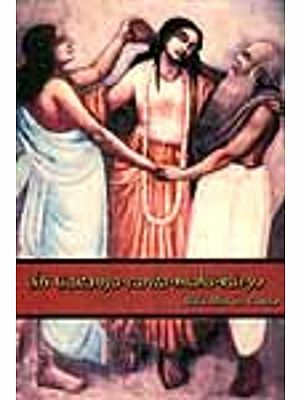 (a) Untouchability-Kevata the Nisadaraja Guha was an untouchable who was patronised by Rama much against the wishes of his father and other disregarding the social evil of untouchability, according to some text. Thereafter not only Rama ambraced Kevata repeatedly but even the sage Vasistha embraced him with delight. This incidents points to the removal of untouchability. There is another episode of Sabari who was a Bhila and untouchable woman but was also graced by Sri Rama. According to the account of Krttivasa Ramayana, Sabari happened to be the daughter of the Bhila king and was going to be married. At the time of her married she while moving in her vehicle saw a large number of animal and birds in captivity. Sabari asked her attendants as to why a large number of animals and birds had been made captive? She was informed that all of them were to sever as the food to her marriage party which is going to be arranged shortly. The mind of Sabari was disturbed and she left the place without any intimation. While roaming in the forest she reached the asrama of sage Matanga who provided her the shelter. Two things are apparent from this episode. First is that the feeling of ahimsa was there and the second one is that Sri Rama, loved the down-trodden people immensely. This was one of the need for his incarnation. It is recorded in the scriptures that when there is the rise of demons and the decline of dharma and the evil forces get strong, the lord incarnates on earth in order to save gods, the noble people and for the destruction of the evil forces. Rama visited Sabari and accepted gracefully the fruits and roots offered to him by Sabari, putting at rest the evil of untouchability.